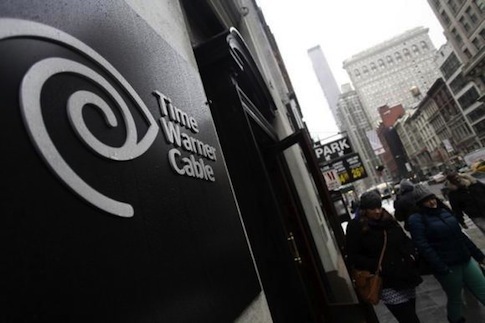 (Reuters) – U.S. communications regulators on Friday asked Comcast Corp (CMCSA.O) for additional details about its video and broadband operations, including its web traffic management practices, to review the company's proposed merger with Time Warner Cable Inc (TWC.N). The Federal Communications Commission is reviewing whether the proposed $45 billion merger between Comcast and Time Warner Cable, the two largest U.S. cable providers, is in the public interest. As is common with FCC merger reviews, the agency sought more information from the companies about their business and future plans than the companies first submitted in their application earlier this year. Notably, the FCC asked numerous questions focused on Comcast's broadband business, seeking an overview of the company's competitors in each geographic area, use of data caps and tools for traffic management. Though analysts predict that the FCC will ultimately approve the merger, the regulators are expected to impose various conditions. Particular attention is on Internet traffic management issues as the FCC is working on new "net neutrality" rules that guide how Internet providers route web content on their networks and could use merger conditions in lieu of rules that are facing a heated debate. In Friday's letter to Comcast, the FCC asked for all documents related to "the Company's decisions whether to block, stop, throttle, slow, favor, congest or otherwise hinder the transmission of any (online video distributor) service or other content … or to favor, prioritize or otherwise advantage the Company’s relevant service over such competing service." The agency also asked for all documents related to how consumers may benefit or be disadvantaged by how Comcast, thanks to its size, negotiates Internet traffic delivery agreements with content creators or delivery services, which could mean companies like Netflix Corp Inc (NFLX.O) and Level 3 Communications Inc (LVLT.N). Additionally, the FCC sought detailed tables on interconnections with other services carrying web traffic as well as network congestion. The FCC also sought data on consumer satisfaction and success getting and retaining customers, including in ethnic groups. Similar requests went to Time Warner Cable and Charter Communications Inc CHRT.O, which has proposed to acquire some of Comcast's subscribers to leave Comcast with less than 30 percent of the U.S. residential cable or satellite TV market. Most of the content of Comcast's and others' responses are unlikely to be public, because such business information is deemed highly confidential. The responses to the FCC are due by Sept. 11. The Department of Justice is also reviewing the proposed Comcast-Time Warner Cable merger for antitrust issues, though the companies stress they do not directly compete in any market. The FCC is collecting public comments on the merger and replies to them through Oct. 8. "This is just another standard step in the review process, and we look forward to continuing to work with the Commission as the process moves forward," a Comcast spokeswoman said on Friday.